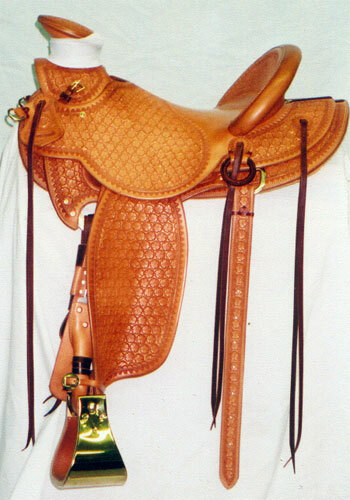 These are just two of the saddles made for Shayne. 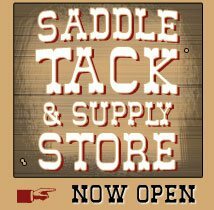 He has 5 personal saddles of mine. 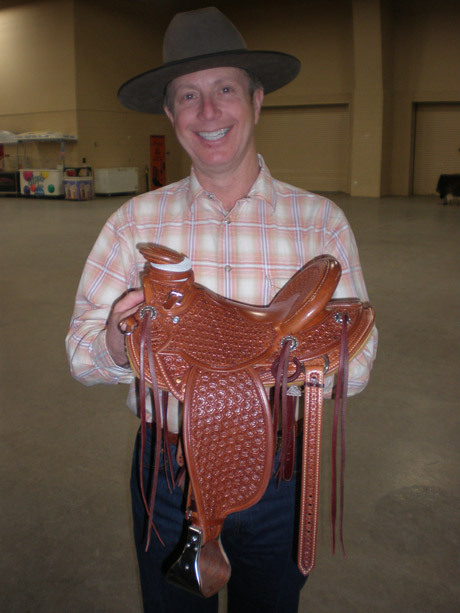 He also owns McGinnis Meadows Ranch and has bought over 40 saddles for his guests to ride, as well as saddles for his son, the ranch managers Randy and Dori Bock, their daughter Breanna, and horse wrangler Rikki Quinn all ride my saddles. 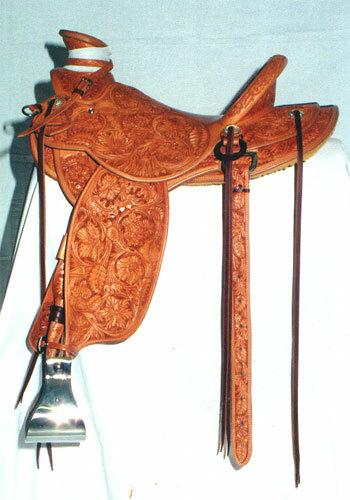 ½ size saddle made for Shayne Jackson.